At this special Motherworks event, a panel of seven self-employed moms will deliver real talks about what it takes to work as a consultant, freelancer or launch your own business (and have a life!) outside of work. Panellists include Allison Venditti (Careerlove), Mandi J Buckner, Lisa McGrath (CAVEA), Angela Grant Buechner (Nutmeg Consulting), Pauline Osena (Hype Food Co.), Jenn Green (Baby Mama Fitness) and Jenna Kalinsky. They’ll share their personal stories and advice to help you take the first step towards working for yourself. This event is for moms (but open to anyone) interested in exploring self-employment as a way to find flexible, meaningful work. 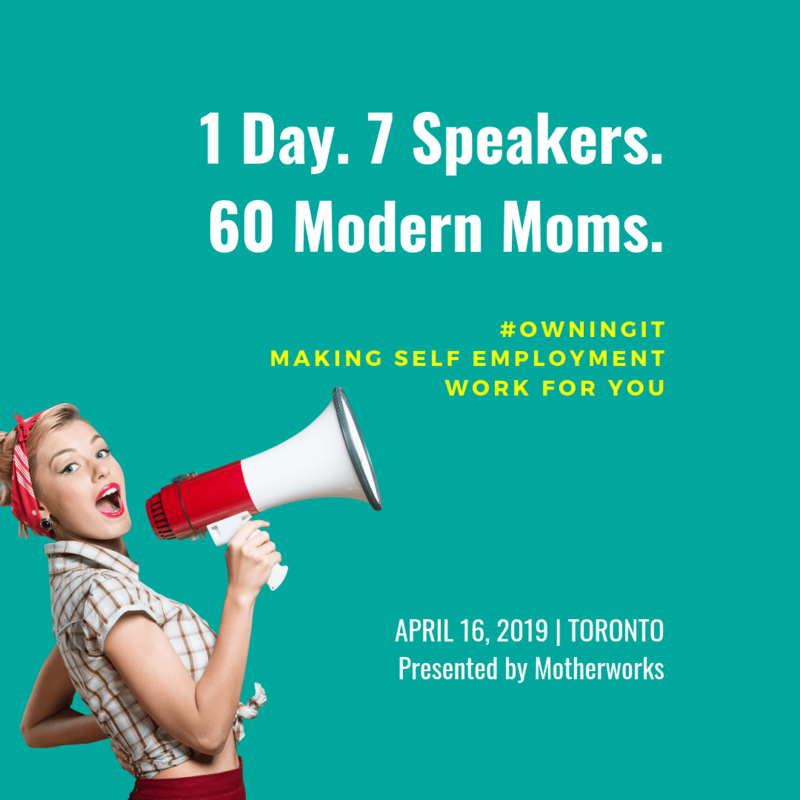 #OwningIt takes place on Tuesday, April 16 from 9:30 a.m. to 2:30 p.m. at the Centre for Social Innovation (192 Spadina Ave). Grab your ticket here.